Protestantism is a movement within Christianity, representing a splitting away from the Roman Catholic Church during the mid-to-late Renaissance in Europe —a period known as the Protestant Reformation. 20th century Europe bears the imprint of Reformation. Italy, France, Ireland, Spain, Portugal, the south of Germany, Austria, and Hungary, Poland, and parts of the Balkans in eastern Europe, have continued to be predominantly Catholic. The rest, Scandinavia, England Scotland, Switzerland, the north and east of Germany, and parts of eastern Europe have largely remained Protestant. Belgium is on the border of protestantism and catholicism. October 31, 1517: Luther nailed his 95 Theses to the door of the Castle Church in Wittenberg with hammer strokes which echoed throughout all of Europe. This act has been portrayed numerous times thoughout the centuries, and until the 21st century it was accepted as fact. It has become a symbol of the Reformation as nothing else has. Some of the Protestant reformers encouraged their followers to destroy Catholic art works by insisting that they were idols. Huldrych Zwingli and John Calvin promoted this approach to the adaptation of earlier buildings for Protestant worship. In 1562, some Calvinists destroyed the tomb of St. Irenaeus and the relics inside, which had been under the altar of a church since his martyrdom in 202. The english translation of beeldenstorm is iconoclasm. The Puritans were members of a group of radical Protestants which developed in England after the Reformation. The word puritan is now applied unevenly to a number of Protestant churches from the late sixteenth century to the early eighteenth century. However, Puritans did not, by and large, use the term for themselves, and the word was always a descriptor of a type of religious innovation, rather than a particular church. The closest analogy in the present day to the meaning of "Puritan" in the 17th century would be "fundamentalist": Puritanism was a movement rather than a denomination. 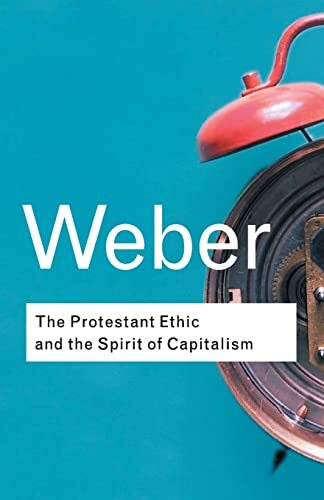 Max Weber's best-known and most controversial work, The Protestant Ethic and the Spirit of Capitalism, first published in 1904, remains to this day a powerful and fascinating read. Weber's highly accessible style is just one of many reasons for his continuing popularity. The book contends that the Protestant ethic made possible and encouraged the development of capitalism in the West.